Street/Roadway — Civil West Engineering Services, Inc.
Civil West completed preliminary planning, final design, bidding, and construction phase of services for this roadway rehabilitation and utility replacement project on Golden Avenue from Seventh Street to Fourth Street. Golden Avenue was originally paved with Portland Cement Concrete (PCC) and has been overlaid with Asphalt Concrete (AC). The existing roadway had exceeded its service life and is showing signs of failure. The sidewalk, pedestrian ramps, and driveways did not meet current ADA standards needed to be updated. This road is important to the City as it is the primary access to the US Post office and serves Marshfield High School. The project replaced/reconstructed approximately 750 LF of roadway including the curb, gutter and sidewalk along that corridor. This project will also upgrade nine pedestrian ramps, seven driveway approaches, replace 600 LF of sanitary sewer and associated laterals, replace approximately 500 LF of storm drain main, and upgrade existing storm drain catch basins throughout the improved corridor. 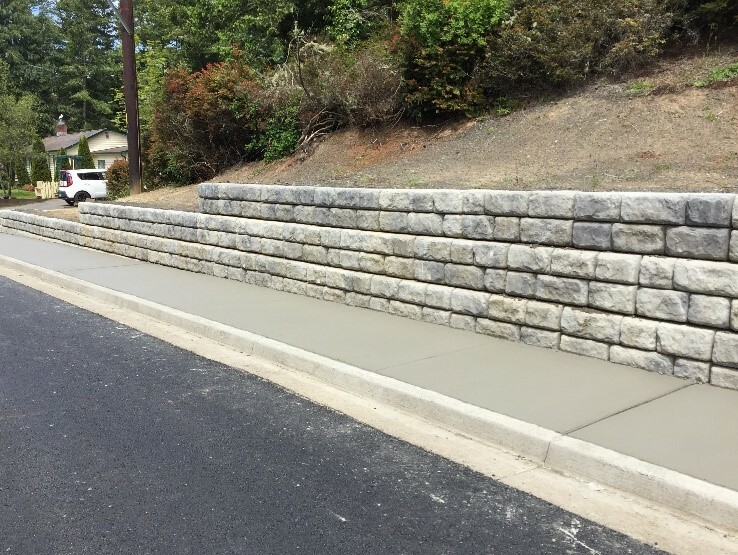 We completed a project for the City of Florence that included major rehabilitation and improvements for approximately 6,000 lineal feet of existing roadway. The project also included significant utility infrastructure improvements, including the installation of over 6,600 linear feet of new potable waterline, and approximately 1,300 lineal feet of new underground storm water infrastructure. Rhododendron Drive between 9th Street and Highway 101 had been without restorative improvements for far longer than its design life expectancy. The combined presence of potholes, alligator cracking, and sinkholes, together with the old age of the pavement, compromised the roadway structure and in many locations rendered the pavement entirely unusable. 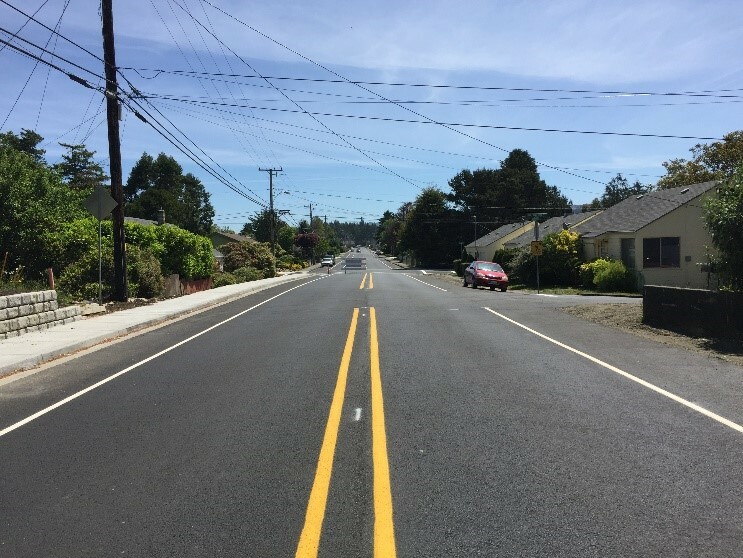 As a part of this project, approximately 3,300 lineal feet of existing roadway were retrofitted with new curb, gutter, and sidewalk, on one side of the road. Stormwater facilities were also upgraded to collect and convey stormwater safely away from the project area.